Marlborough – Randy Fraser has played lacrosse for a half dozen teams and coached many more. For at least half of his 30-year career, however, and throughout often frenetic job changes, Fraser has called Marlborough home. After informally playing backyard lacrosse with friends, Fraser began his lacrosse career as a high school freshman in Long Island. After four years of playing the sport in high school, Fraser next moved to Springfield where he played competitive college lacrosse while studying at Springfield College. As Fraser found success in college lacrosse, however, his father, a successful lacrosse player himself, also excelled as a professional coach. 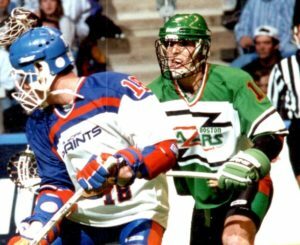 The pair reconnected within a matter of years when Fraser began playing for his father on the Boston Blazers professional indoor or “box” lacrosse team in 1991. As Fraser played professionally and worked full time as a sales representative for Coca Cola, his search for a home landed him in Marlborough, a place that benefited both his personal life and his lacrosse life. 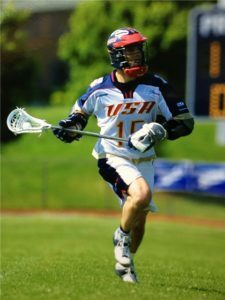 After the Blazers folded in 1997, Fraser spent time playing for two other professional indoor lacrosse teams as well as for Team USA at the 2003 World Games. Around the same time, he began a coaching career that would eventually land him jobs at both college and professional levels. He now enjoys his position coaching at Regis College in Weston. Fraser has played indoors and outdoors. He has coached a multitude of levels of lacrosse. But as he enjoys his life two states away from where his lacrosse career began, Fraser’s love of the game and his love for his community combine in one of the jobs he quickly left. His career now three decades old, and with his spot at Regis College having him feeling happy, Marlborough’s Randy Fraser has no plans of slowing down.